Praised as "outstanding enough to grace the stages of the world’s great orchestras” by Straits Times, violinist Adelya Nartadjieva has performed extensively throughout Asia, Europe, Russia and the United States. A dedicated chamber musician, Adelya has been invited to renowned festivals such as Yellow Barn, Bravo! Vail, Olympic Music festival, Heifetz International Music Institute, Four Seasons, Summer University in Lausanne and Moscow Meets Friends. She has debuted in venues such as Carnegie and Wigmore Halls, Herkulessaal der Residenz, Rudolfinum-Dvorak Hall, Auditorio Nacional de Música, Woolsey Hall and Seoul Arts Center as both soloist and chamber musician. Artists she has collaborated with include Leon Fleisher, Wu Han, Gil Shaham, Vadim Repin, Timothy Eddy, Hsin-Yun Huang, and members of the Emerson and Juilliard String Quartet. Adelya was a concertmaster of the Yong Siew Toh Conservatory Orchestra under the batons of Robert Spano and Eiji Oue, and the Yale Philharmonia under Peter Oundjian. She is now a concertmaster of Symphony in C, a member of the internationally acclaimed ensemble Sejong Soloists, and frequently performs with the Jupiter Symphony Chamber Players and Orpheus Chamber Orchestra. A native of Tashkent, Uzbekistan, Adelya started the violin at the age of six and had performed as soloist with orchestra only 9 months after starting violin lessons. She has graduated from the Yale School of Music with a Master’s Degree and Yong Siew Toh Conservatory of Music in Singapore, with a First-Class Honors Degree and a Lee Kuan Yew Gold Medal as the best graduate throughout the course of study. Her recent awards include first prize at the Woolsey Concerto Competition at Yale, Gershwin International Competition, an Education Grant from the Rachel Barton Pine Foundation, and The Broadus Erle Prize from the Yale School of Music. 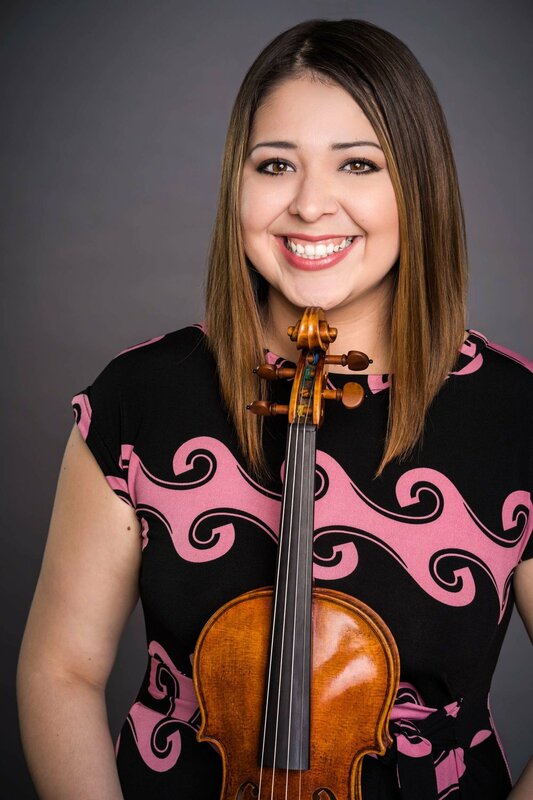 Adelya was a violin fellow with Carnegie Hall’s Ensemble Connect for 2016-2018 season, where she performed and taught all around the city. For the past 10 years Adelya has had a privilege to work intensively with students of various ages, from young students to students at the Yale University, Skidmore College, Tashkent Conservatory and Uspensky School of Music. Her students have enjoyed performing on stages such as Weill Hall at Carnegie Hall, Esplanade, Yong Siew Toh Conservatory and Victoria Concert Hall in Singapore.